THE SIMPSONS season 27 kicks off tonight! 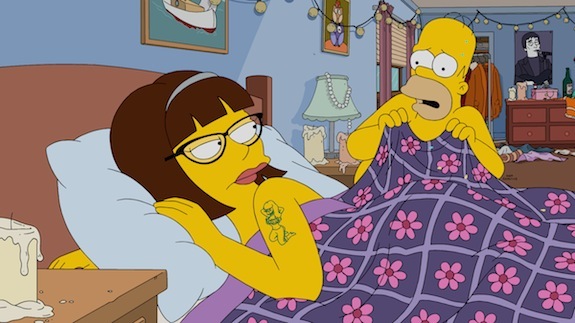 THE SIMPSONS: Lena Dunham guest voices in the "Every Man's Dream" season 27 premiere episode of THE SIMPSONS airing Sunday, Sept. 27 (8:00-8:30 PM ET/PT) on FOX. THE SIMPSONS ™ and © 2015 TCFFC ALL RIGHTS RESERVED. THE SIMPSONS’ 27th season kicks off tonight at 8 PM on Fox.